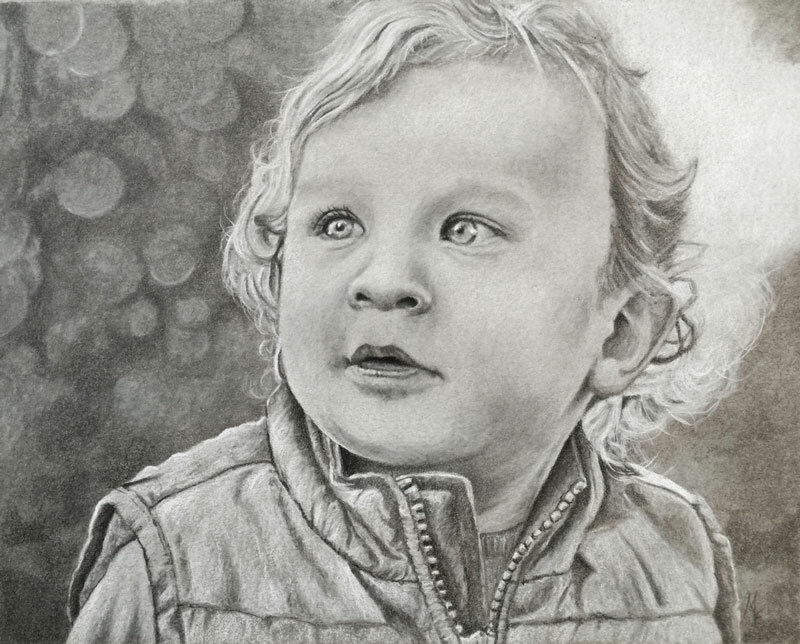 Do you really need all of those blending tools when drawing with graphite? Some people are so dependent on blending stumps (and tortillions) that they won’t even attempt a drawing without them. Many beginning artists simply overuse them and in many situations – they aren’t even necessary at all. 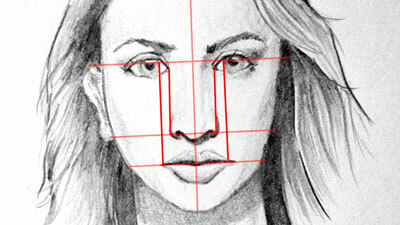 When blending stumps are overused – or used when they’re not needed – the resulting drawing can look dirty and unfinished. But, when blending stumps are used correctly and in the right situations, the result can be very life-like and realistic. The texture of the subject. There are many times when you need to use a blending stump. 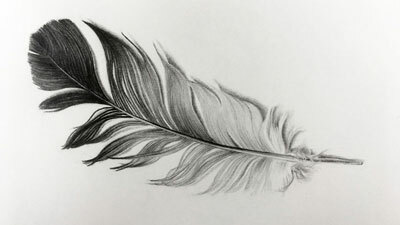 For example, if the surface of the subject is smooth and the texture of the paper simply can’t create the necessary texture, then a blending stump should be used. In the drawing below, a blending stump is used to create a smooth texture that mimics the surface of skin. 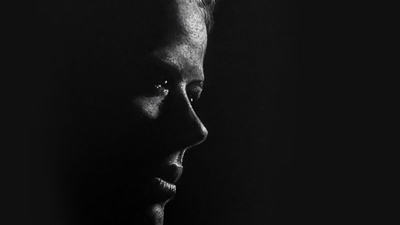 In both of these cases, the texture of the skin determined whether or not a blending stump was required. We didn’t decide to use a blending stump until we saw that it was necessary. But we also shouldn’t assume that just because we are drawing a portrait or an image that includes skin, we should automatically reach for a blending tool. 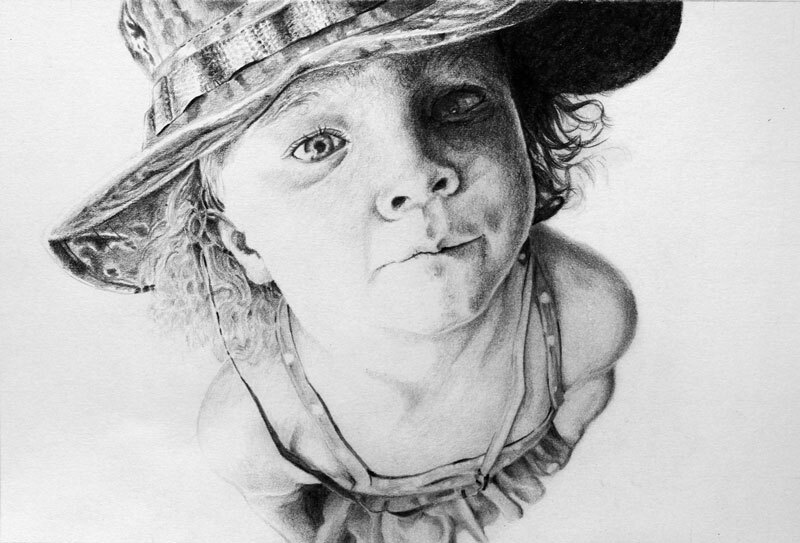 In the drawing below, we created a portrait. But because the paper was so smooth – a blending stump wasn’t necessary. We were able to create smooth transitions of tone simply by adjusting the pressure placed on the pencil. As we can see, the texture of the subject plays an important role in deciding whether a blending stump is necessary or not. But, the texture of the paper plays an important role in our decision making process as well. In fact, we often decide what papers to work on based on the textures of the subject that we are planning on depicting. 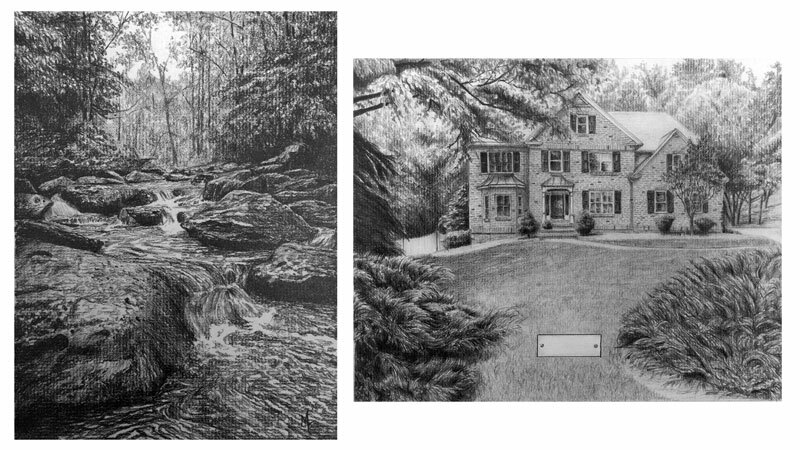 For example, in the first image below (on the left), we worked on charcoal paper, which features a coarse laid pattern. The texture of the paper helped us to create the illusion of the texture of bushes and trees. Clearly, no blending stumps were necessary. The same is true for the second drawing below (on the right). Here again, the texture of the paper helped us to achieve the textures that we were after. It wouldn’t have made much sense to use blending stumps on either of these drawings. In most cases, it is a combination of both the texture of the subject and the texture of the paper that determines whether to use blending stumps or not. In our recent Live Lesson series, we created a drawing of an elephant in the jungle. 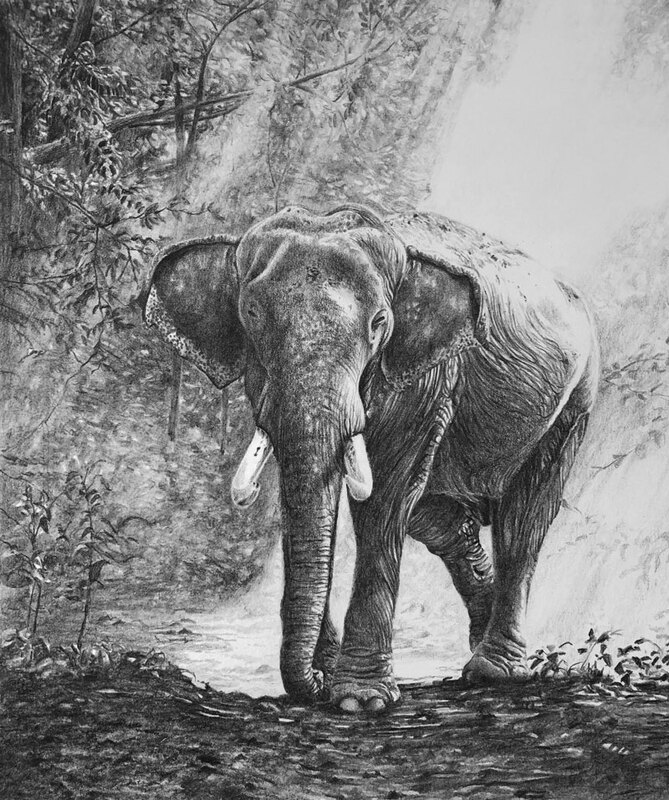 Here again, we had trees and bushes within the scene, but charcoal paper would have been a poor surface choice because of all of the details in the texture of the elephant. Instead, we worked on a softer and smoother surface. In this case, we worked on Stonehenge paper, which is 100% cotton. The image featured distant trees covered with a smokey haze. We could have created this effect by using a blending stump. But because the paper was so soft, we could control the texture that we created simply by adjusting the pressure placed on the pencil. We created the “rays of light” using a kneaded eraser. By avoiding the use of a blending stump, we kept our drawing clean and consistent. We were still able to create the necessary textures however. The truth is that there is a technique that we can use to achieve smooth transitions of value without using a blending stump. Keep in mind, that even though this techniques is helpful, there will still be times when a blending tool will be necessary to capture the texture of your subject. We’ll call this technique “circling”. 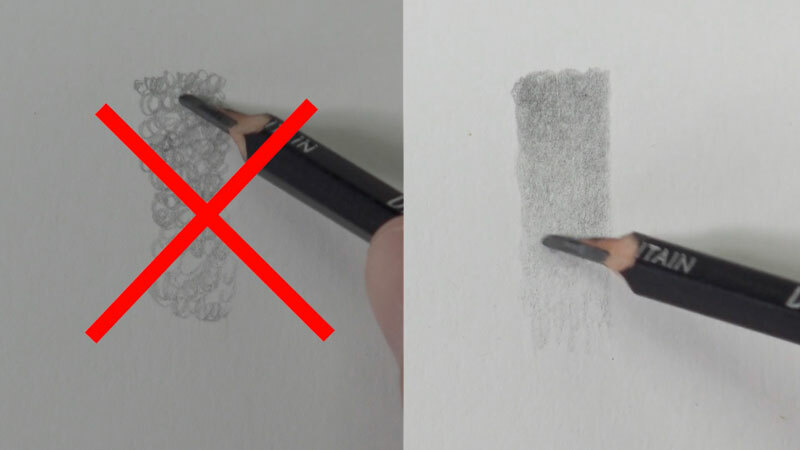 This technique is simply a way to control the application of the graphite on a drawing surface. 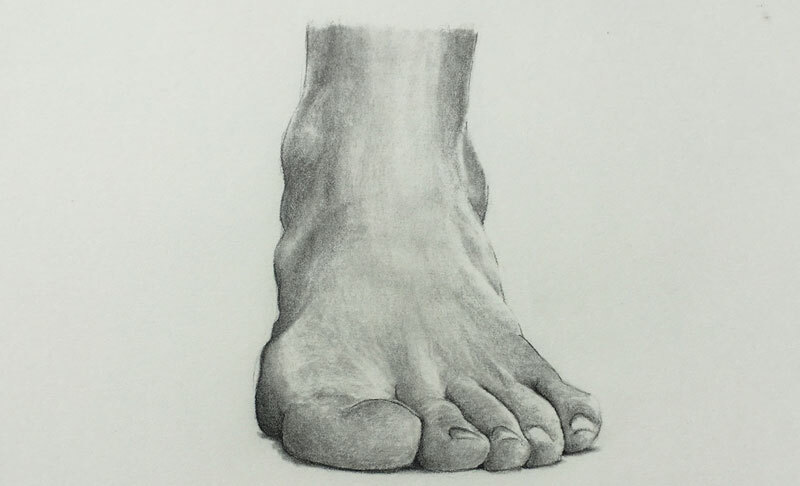 When used properly, it can help you create a smooth transition and even application of tone in a drawing. If the paper is smooth enough, this technique mimics the results we get with a blending stump. But unlike a blending stump, this technique gives you total control over the value and resulting texture. The process is very simple. We’ll use the side of the tip of the pencil to make light, smooth circular strokes on the drawing surface. Make sure that you’re not making actual circles. It’s a circular stroke – not a bunch of actual circles. When done correctly, an even application of graphite is the result. Should You Throw Out Your Blending Stumps? Absolutely not! 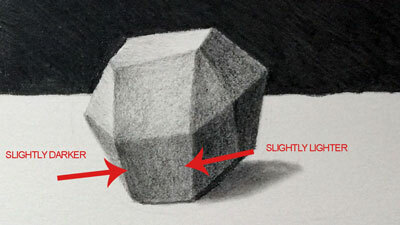 Blending stumps have their place in the world of graphite drawing. There are times when they’re useful and perhaps even required. Are they overused? Yes, they are. Just remember, the texture of the subject and the texture of the paper should determine if they are to be used or left in the drawer. Thanks for providing nice techniques for blending.